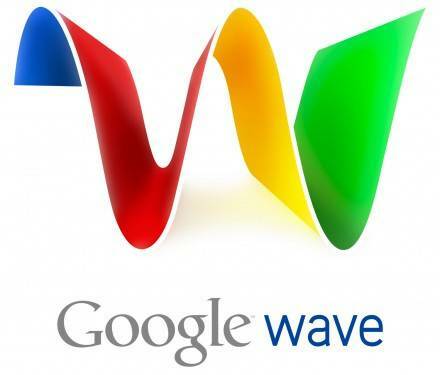 Yesterday afternoon Google announced that they don’t plan to continue developing Google Wave as a standalone product. I’m greatly disappointed by this announcement. When Google launched “Google Wave”, I watched the full developer announcement made at Google I/O, and throughout the course of the lengthy description and demonstration my excitement grew as my mind grasped the possibilities of this new technology. This was email evolved, rolling out real-time communication on the net. It heralded a fundamental change, in my mind, of how we could interact with each other and our various locations on the net. It suggested an opportunity to have a single place wherein you could manage all your communication across the net, whether it be your blog content, comments you’d left on other websites, communication on social networks, document collaboration, or instant messaging. On and on grew the list of potential use cases in my imagination. Picture this: I am at my computer and I write a blog post in Google Wave. When I finish with the blog post I publish it on my site. It’s an article about a research area with which I am unfamiliar. I decide to include a friend of mine in the post and ask his opinion on it. He comes online and replies that he’s unsure whether my article is completely correct. His comments appear real-time in my Google Wave inbox, and real-time on my website. I embed a search result displaying some of my sources of information (again, appearing real-time in both our Wave clients and my website). He suggests I add another friend who has more experience in this area. At this point I need to leave the office and go home. On my way home my phone buzzes to tell me that my Wave has some new content. Said second friend has come online and is suggesting corrections. All of this appears real-time on my phone. I verify the new research material and edit my blog post whilst sitting on the train. This was just one of the use-cases I imagined, but there were thousands more. As you can see above, Google’s “SVP of Operations & Google Fellow” has stated that Wave hasn’t had the required level of user adoption. Personally I am not surprised, and I cannot really argue with this at the base level at which it is stated. I think the new Wave technology (an open protocol by the way) is amazing. Am I using it? No. “If you’re not even using this ‘revolutionary product’, how can you possibly feign disappointment ? !” I hear you cry. The reason is as follows. I believe the failed adoption of Google Wave has nothing to do with its supposed complicated UI, or the inability to work out how to best make use of the new protocol. I believe the core issue is that it was not backward-compatible with older protocols – namely old-fashioned, non real-time POP/IMAP/SMTP email protocols. Google Wave arrived and I quickly received an invitation to use the service. I signed up and played around with it, finding a few of the old Jaiku crowd to test the service out. It was a little buggy and not helped by my, then, poor net connection, but I could feel the potential brimming over. However it quickly fell into disuse. Beyond a smattering of users with whom I connected, Google Wave did not offer any integration with my standard daily use of email. All of my regular contacts were on other email systems, or, if on Gmail, were not aware of Google Wave or didn’t care to find out about it. I quickly realised that for Google Wave to become a daily part of my usage of the net, it needed to wholesale replace Gmail, and beyond that, to offer account integration with other POP/IMAP mail services. I wanted a situation where I would log into Google Wave and from there be able to check all my email. If the user with whom I was communicating was on a normal email protocol, then I would receive their messages in the standard non real-time fashion. I would send my replies through those same protocols. However, if my conversation was with a fellow Wave client user, then the Wave protocol would come into effect. My computer usage is all about streamlining: setting the smallest number of applications which I need to have constantly active. Those applications are ever-present in my computer and mobile use and generally revolve around communication. Work email, personal email, and instant messaging like Skype and Google Talk. Above that I have work-related applications which I run as needed, but the mainstay of my technology world is communication. Google Wave represented another layer, another application to track – and one that was not available on my phone, hence reducing the ability to stay on top of the flow of information. Had Google offered the option to replace Gmail with Google Wave then I could have seen myself adopting it as one of my ever-present applications. In addition, it needed to exist on my Android phone. As these things weren’t offered, my usage of Google Wave was non-priority communication with other users who, as far as I could tell, were in the same situation as me. It rapidly fell into disuse as it did not fit into my daily productive use of technology. The central parts of the code, as well as the protocols that have driven many of Wave’s innovations, like drag-and-drop and character-by-character live typing, are already available as open source, so customers and partners can continue the innovation we began. However, it still feels like a failure and a disappointment to me. Wave was a new protocol, a new system that system administrators could include on their servers. I saw it becoming ubiquitous – another protocol that servers handled along with the older, more basic protocols like POP, IMAP and SMTP. There was no reason I could see why other web-mail providers couldn’t integrate it with their mail services. Hotmail or Yahoo mail could recognise that a recipient used the Wave protocol and deliver your missive utilising that protocol. Beyond that, I saw integration of this protocol in other web services – WordPress, Facebook, IM, Twitter and more. If you didn’t like the UI available in the client at wave.google.com, well that didn’t matter – you would, in theory, be able to use a different client with a different UI. It’s just a protocol, your interaction with that protocol was only limited by the developers of applications that accessed this service. Some of my peers were apprehensive of yet another Google service which required data submission to the ever-present behemoth of the web, but I defended it – pointing to the open nature of it; the federation possibilities of it; and clarifying that it was no more than a new protocol which had no inherent attachment to Google beyond the fact that they created it and then released it into the wild. Now I fear that the potential contained in this new protocol is lost. I’m not sure if that’s true or not, but it feels that I will still rely on (and be limited by) POP, IMAP, and SMTP for many years to come, and I won’t find myself in a few years time, setting up my new computer and configuring Thunderbird to add a new account using “WAVE”. I don’t feel that you have really given the Wave protocol adequate time to develop, and I feel that you’ve missed opportunities to increase user adoption by completely separating your Wave client at wave.google.com from older communication protocols. I hope that you’ll reconsider the halting of development of this new protocol, as I still believe that the possibilities presented by Wave are well worth pursuing and could offer valuable improvements in the way that people communicate in the future.